Sling TV's cloud DVR has some issues to work out in beta testing, but even now it's better than nothing. One of the big drawbacks with Sling TV, compared to a traditional cable bundle, is the lack of DVR. While many Sling channels have on-demand catalogs, you can’t always depend on them to offer programming that recently aired live. Last week, Sling began testing a cloud DVR feature, which lets users access recorded programming from any device with the Sling TV app installed. It could be a major step forward for Sling, and an answer to rival streaming bundle PlayStation Vue, which has offered cloud DVR since its launch in 2015. But after after spending some time with cloud DVR in Sling TV, it’s obvious why the feature launched as an invite-only beta. Right now, Sling TV’s DVR has a lot of missing features and rough edges. If Sling intends to charge for this service—which seems likely, at least in some capacity—it will need to make some improvements. The Sling TV DVR beta is currently available by invitation to subscribers who own a Roku player or smart TV. Participants get 100 hours of recording, stored indefinitely at no extra charge. 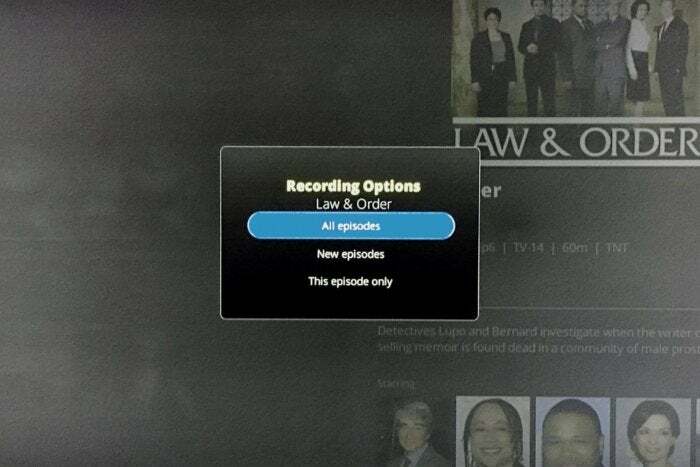 In some ways, the new recording feature works just like a regular DVR. When you select a program from the channel guide, a “record” button appears in the listing. For TV shows, you can choose whether to record just one episode, only new episodes, or every episode. 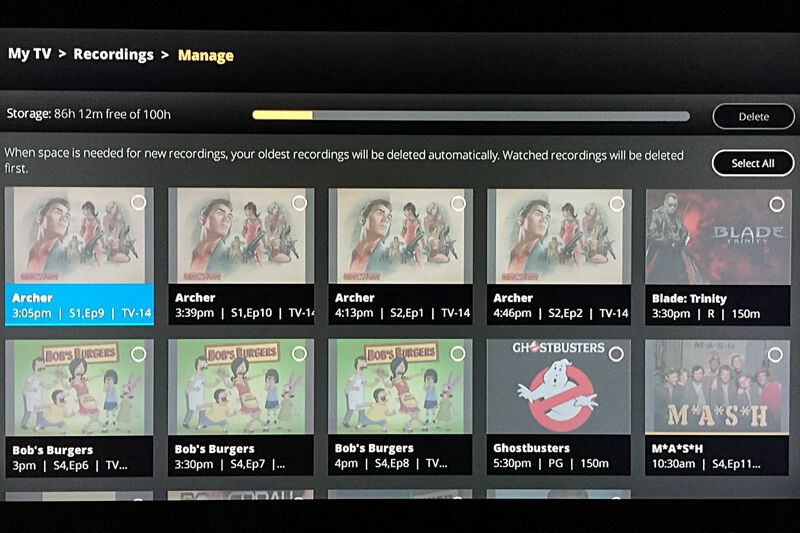 A list of recordings then appears in Sling’s main “My TV” menu. If you record a program from the beginning, you can start watching shortly after the live telecast begins and then skip through the ads. And if you start recording from the middle, you’ll end up with a partial recording. Sling TV’s cloud DVR also has some advantages compared to a traditional DVR. There are no clear limits on simultaneous recordings, which means users don’t have to worry about scheduling conflicts. And no matter which device you use to schedule the DVR, recordings become available on any device through the Sling TV app (though again, it’s limited to Roku devices for now). Sling TV DVR has no time limits or scheduling conflicts, but it currently caps recording time at 100 hours. On the downside, some channels don’t support DVR, presumably because of licensing hurdles. In my testing, DVR was not available on FX, FS1, FS2, FXX, National Geographic, ESPN, ESPN2, ESPN3, Freeform, Disney Channel, Disney Junior, and Disney XD. 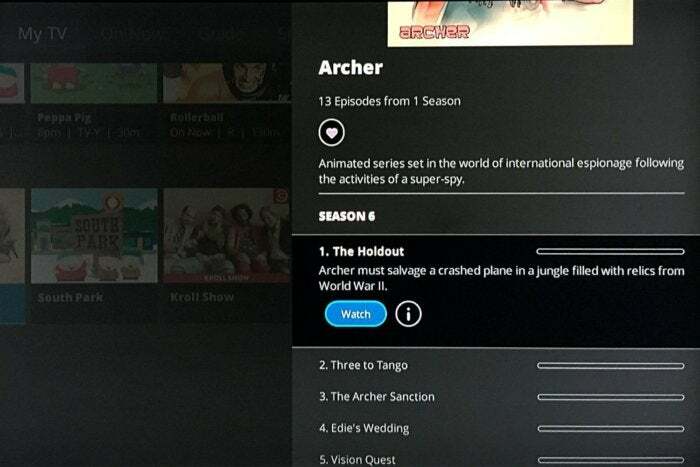 Sling’s DVR also has some bugs and interface issues to work out. The biggest problem is that there’s no way to set up recordings through search or through the “Available Now” section of each channel where on-demand programs appear. If you can’t find a program within the chronological TV guide, you can’t record it. Sling also didn’t recognize certain shows as being part of a series, and therefore didn’t provide an option to record all future episodes. For TV series, Sling shows some extra recording options, though in this beta version they don’t always show up when they should. Sling doesn’t have any time limits on recordings, unlike PlayStation Vue, which keeps them for only 28 days. But because Sling has storage limits, users will need to monitor their recordings or risk auto-deletion. Unfortunately, Sling doesn’t offer the kind of granularity you’d expect from a traditional DVR. When you run out of space, Sling simply deletes watched episodes first, then begins removing the oldest recordings. There’s no way to save a defined number of episodes for a particular program, and you can't protect specific recordings against deletion when you run out of space. The other problem is that all recordings appear in one long, unorganized list, with no grouping for individual shows. It’d be nice if recordings appeared in the same streamlined menu that Sling already uses for on-demand videos. 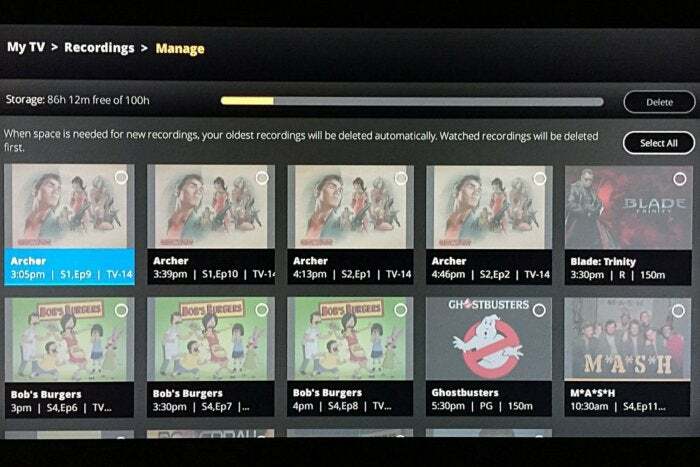 Recordings from Sling don’t show up in a show’s on-demand menu, pictured here. Although Sling TV DVR is currently free for beta users, the fine print notes that Sling might charge for the service in the future. If that happens, Sling says it will notify existing testers in advance, and they’ll have to opt out of the service to avoid paying. There’s no word yet on what that pricing might be, but my guess is that Sling will offer basic DVR for cheap (perhaps around $5 per month, same as most of Sling’s add-on channel packages), along with a premium option with more storage. Not everyone will want or need to pay for DVR. If your main purpose for using Sling TV is to watch live telecasts, such as sporting events on ESPN or regional Fox Sports networks, DVR would be an unnecessary add-on. 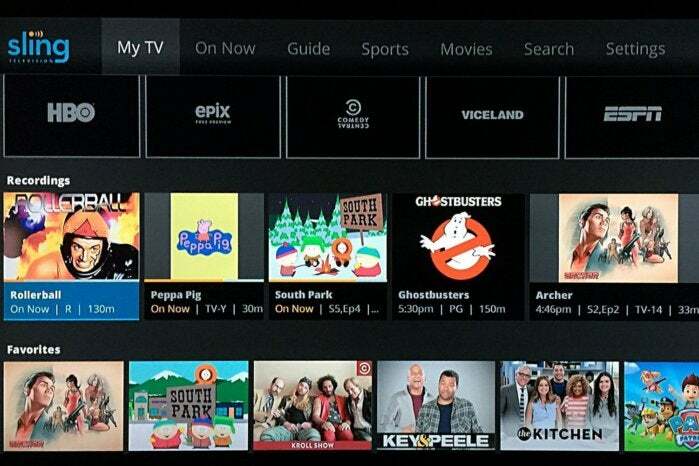 But for movies and TV shows, DVR will be invaluable for filling the holes in Sling’s on-demand catalog. Even after just a couple days of use, I’ve amassed hours of recorded programming that would otherwise only be available through live feeds. In a perfect world, DVR wouldn’t even be necessary for streaming bundles like Sling TV. Instead, each channel would make all of its content available on demand and ad-free, just as Netflix, HBO, and Amazon Prime Video do. Until that happens, DVR will be the best way to ensure you get your money’s worth—even if it costs a little extra.